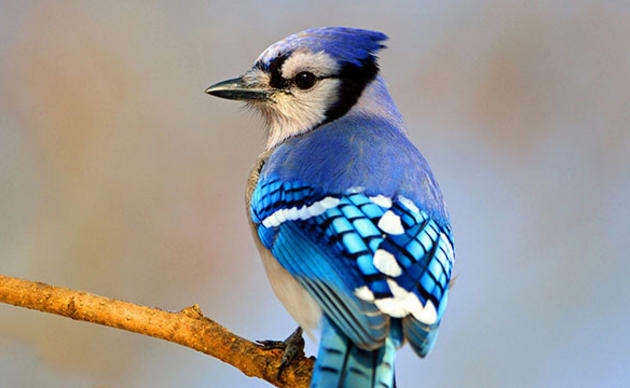 >> Join The Great BackYard Bird Count! 2. Count birds for at least 15 minutes between February 15th - 18th. You can count for longer than that if you wish! Count birds in as many places and on as many days as you like—one day, two days, or all four days. Submit a separate checklist for each new day, for each new location, or for the same location if you counted at a different time of day. Estimate the number of individuals of each species you saw during your count period. 3. Enter your results on the Great Backyard Bird Count website by clicking on "Submit Observations"
Or install the eBird Mobile app and enter data on a mobile device. If you already participate in the eBird citizen-science project, please use eBird to submit your sightings during the GBBC. Your checklists will count toward the GBBC. Th﻿e Great Backyard Bird Count photo contest celebrates the beauty and diversity of wild birds seen during the count from around the world. All images must have been taken during the current Great Backyard Bird Count (GBBC), February 15-18, 2019. Photos showing birds in plumages or in locations where they are unlikely to be during the GBBC will not be judged for the contest. Photos must be of wild birds in their natural surroundings. Domestic or pet birds and other animals will not be included in the judging. Here are suite of ideas for teaching about birds in our environment from ebird. Explore data including photos, species maps, Y﻿﻿a﻿﻿rdMap totals and more.